Convert MOV files to AVI online for free now. 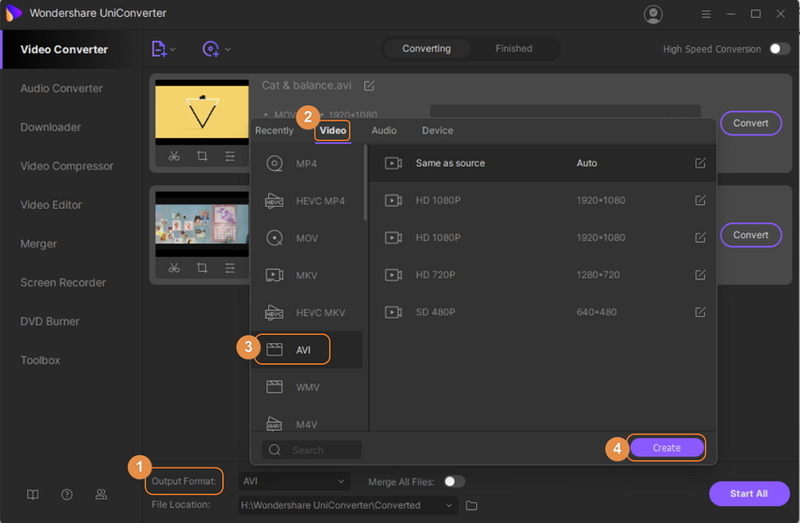 How to Convert MOV to AVI Online? Select AVI as the output format you want to convert MOV file(s) to. Step 1: Launch Wondershare MOV to AVI converter and load MOV files. Open Wondershare UniConverter (originally Wondershare Video Converter Ultimate) on your PC/Mac. From the default Convert tab, select +Add Files to load MOV files from your computer. You can also add the MOV files by simply drag and drop. Step 2: Edit MOV files (optional). Once added, there is option in the program which facilitates editing the MOV files before you convert MOV to AVI Mac/PC. The tools for editing are present as Trim, Crop, and Apply Effect icons under the added video thumbnail. 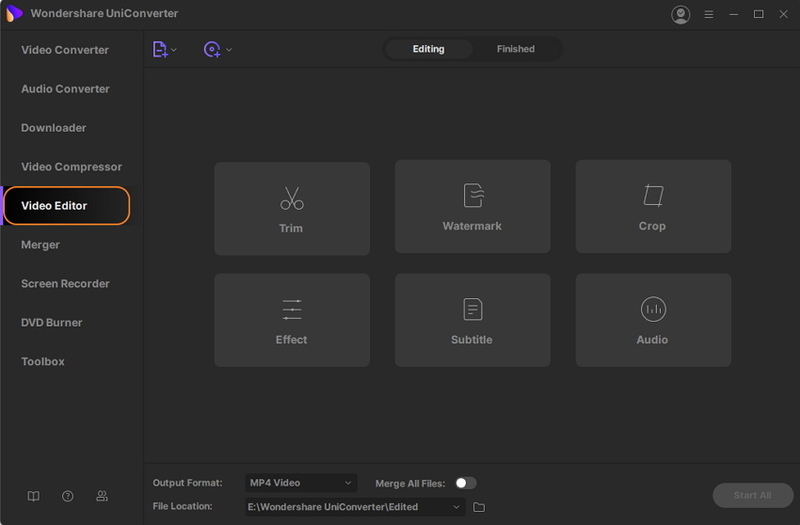 You can add subtitle or watermark to your MOV video and also perform other functions as needed. Click the inverted triangle at the top-right corner next to the Convert all files to: option. From the pop-up window, select AVI and its desired output resolution. To make changes in file parameters, you can hit +Create Custom. From the new window, select frame rate, resolution, and other values, and tab Create. Step 4: Convert MOV file to AVI. Select the folder on PC where you want to save the converted file at the Output location. Choose the Convert All button to start the process of converting MOV to AVI Mac/PC. The Software works as AVI to MOV converter Mac/PC in the similar manner. 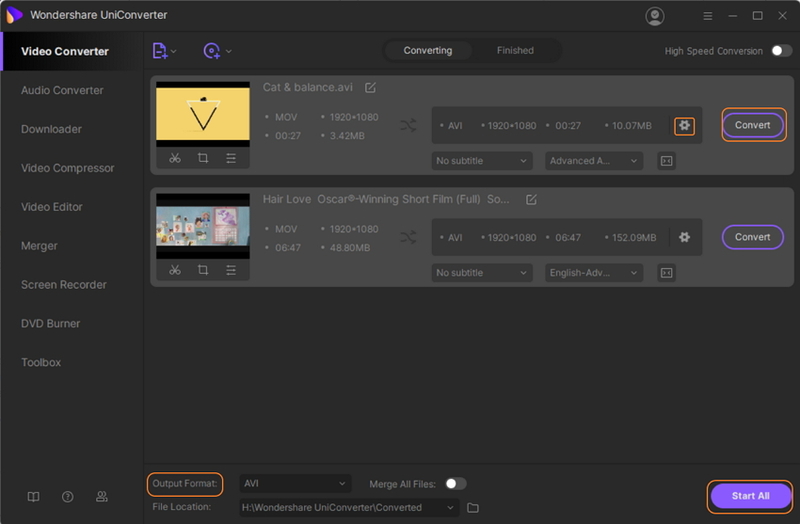 Though there are a number of free MOV to AVI converters available, using a professional tool like Wondershare UniConverter (originally Wondershare Video Converter Ultimate) offers altogether a different experience. The process is simple, quick, and without size limitation.